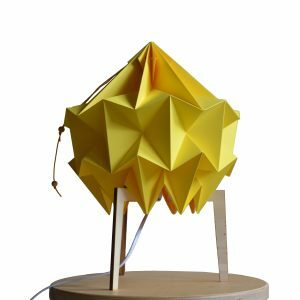 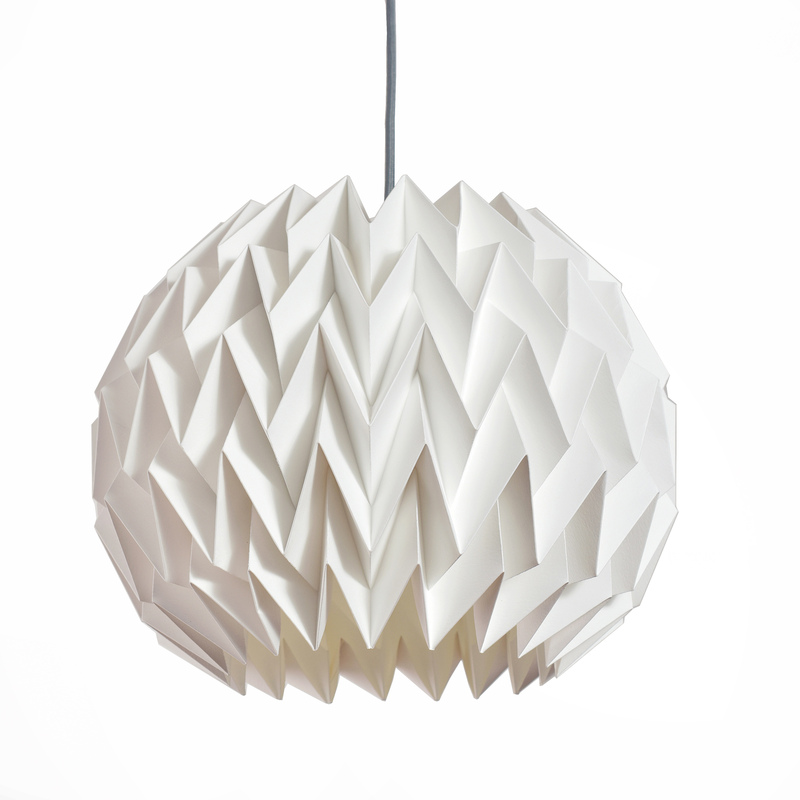 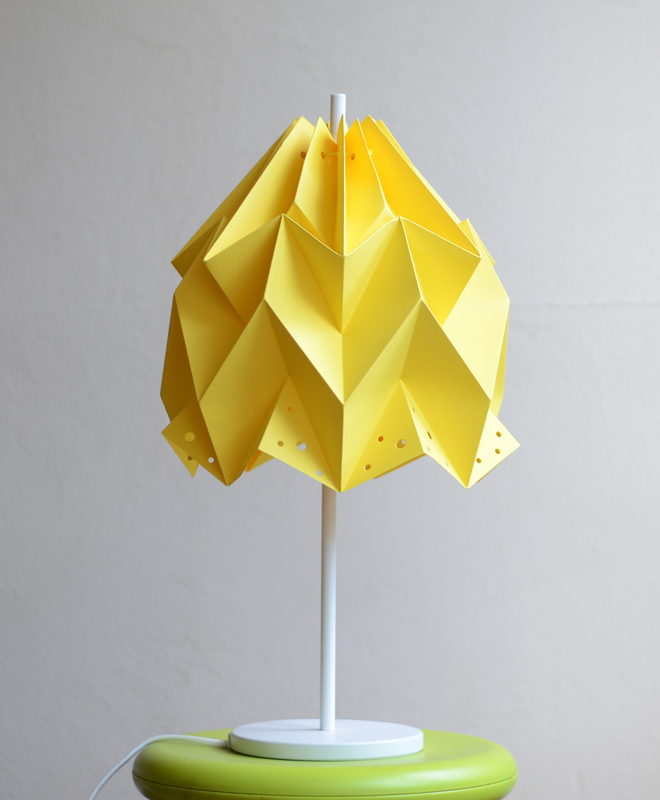 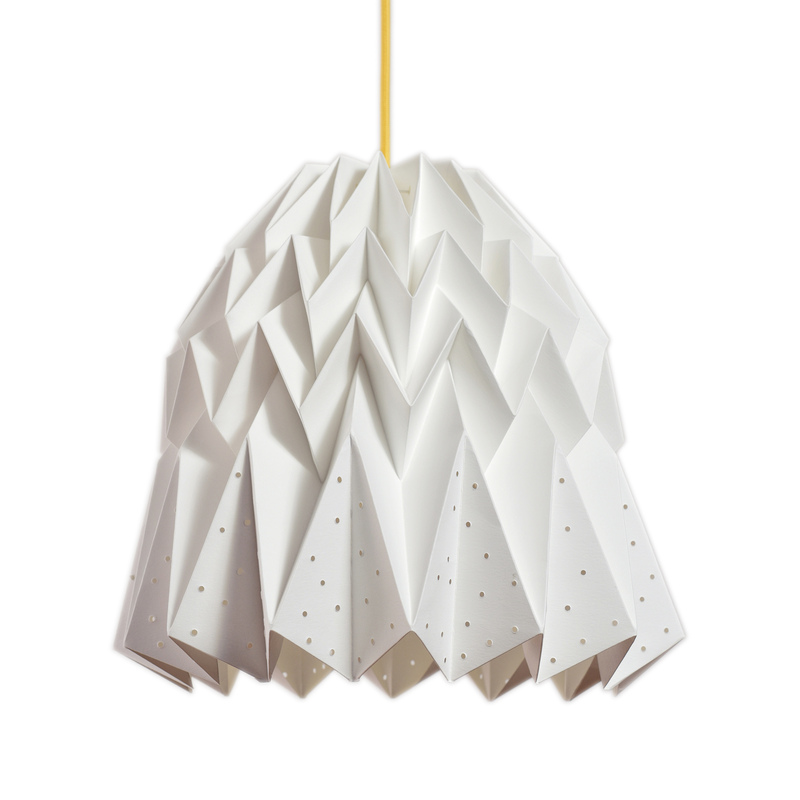 Geometric handmade lampshade, folded in the origami technique from one high quality, thick piece of FSC paper. 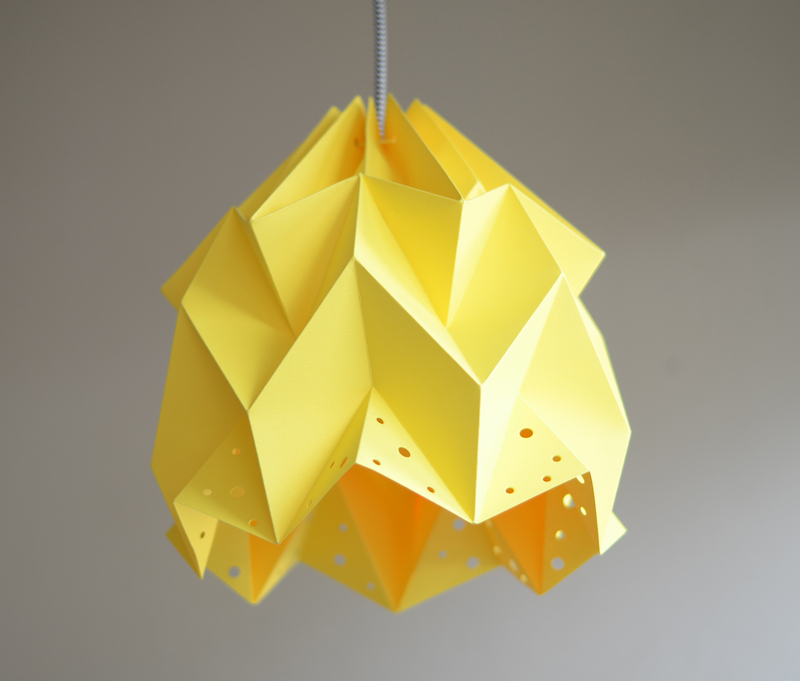 The yellow paper was manually pierced on a certain area. 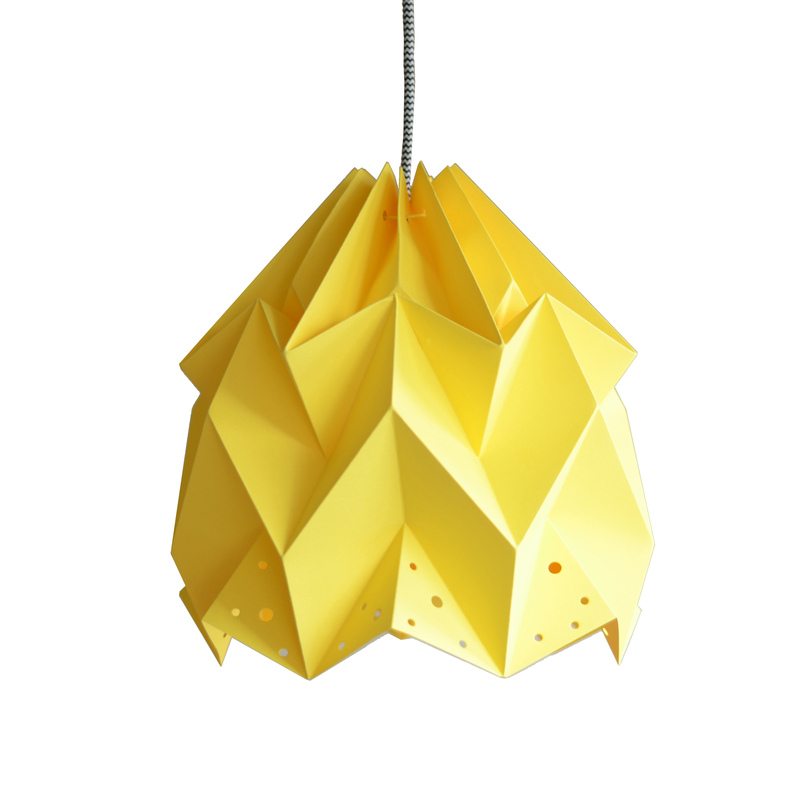 Cord set not included, bulb not included.